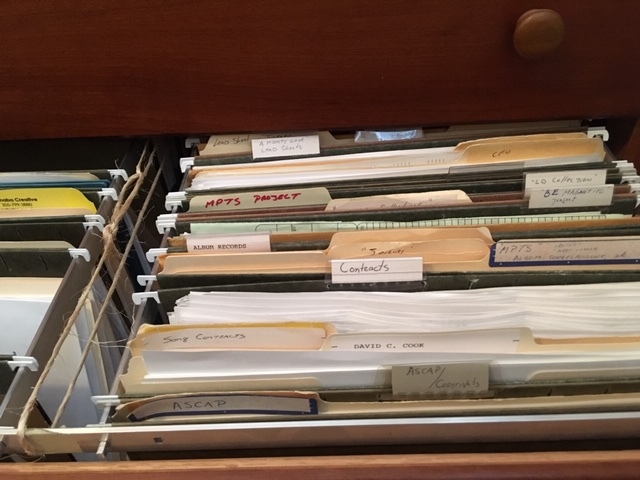 Somewhere in my house, deep down in the dusty files of all my songwriting contracts, scribbled notes, lyric sheets, chord charts, and other pertinent memorabilia, is the original hand-written copy of my song, “More Precious Than Silver.” That is, I think it’s here. It’s entirely possible I once filed it some place so obscure that it will never see the light of day again. Did I throw it out by mistake? Did I give it to someone? I just cannot remember. After all, it’s been a a long time since I wrote “More Precious Than Silver” – forty years this July, to be precise. Forty years! Sounds biblical, doesn’t it? Periods of forty years and forty days are found throughout the Scriptures. So when I realized that a significant milestone was approaching in my life, the fortieth anniversary of the creation of “More Precious Than Silver,” it got me thinking. The Bible is full of instances where our fathers in the faith built altars of stone to mark life-changing encounters with God. In years to come, they would revisit these altars and recall to mind the faithfulness of the Almighty in their lives. They used these memorials to pass on their legacy of faith to their children. An anniversary is a bit like a memorial stone. It marks something significant and perhaps unique to you. It says, “Hey! This event happened here in this place, at that time, and it made a lasting impact on my life.” Here then is my memorial stone, my “Ebenezer raised,” as I reflect on what writing “More Precious Than Silver” has meant to me. Every creative effort has a beginning. You sit down with your instrument and a pad of paper, or a laptop computer. You hum a melody, strum a chord, or pick out a tune on the piano. Sometimes a song takes shape effortlessly, but usually there’s a struggle involved in the creative process. Every baby born comes into the world with a degree of pain and struggle, some more than others. I think it’s the same with a song. I also think that long before there’s such a creative expression as a song written, there’s a life lived. Therefore, I can’t fully tell the story of “More Precious Than Silver” without delving a bit into my story. Since I’ve already written about that in some detail, I’ll just revisit a few things here. 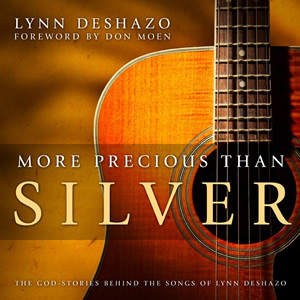 (You can read most of the first chapter of my book for free at Amazon.com, More Precious Than Silver – The God Stories Behind the Songs of Lynn DeShazo). I admire any young person who has a defined sense of what they want to do with their lives and education while still in college. I did not, as a college student. I started my studies as a pre-Pharmacy student, and finished with a degree in Recreation Administration. Beyond my professional internship, I never worked one single day in my field of study. I knew I wanted to live my life to God’s glory and to serve Him whole-heartedly, but that was about the extent of my post-college plans. I had no concrete idea about how I was supposed to live that out in the real world after graduating from Auburn University. I did know enough to pray and ask God to guide me, and so I did. That guidance, along with my personal choices, led to me staying in the town of Auburn for another two and a half years following graduation as part of a campus ministry and church at Auburn affiliated with Bob Weiner’s Maranatha Ministries. In those brief post-college years I supported myself with a variety of jobs that do not require a college education, including a six-month stint at the Auburn McDonald’s. The church would often have days of prayer and fasting on Wednesdays, a day I worked at McDonald’s. During the lunch rush, I manned the french fry station. One day, I did not manage fasting and the fry station well at all, and that’s how the popularly-told story of the birth of “More Precious Than Silver” came to involve McDonald’s french fries and a failed attempt at fasting on my part. (Again, see free book chapter at amazon.com, “Look Inside” feature). I was twenty-three years old when I wrote “More Precious Than Silver.” In the years since then, I’ve often spoken publicly about being overcome by the temptation to eat french fries on a day I was supposed to be fasting. In repentance and genuine sorrow of heart, I went to the Lord in prayer and the song was birthed in a private moment of worship. The part about the fries makes for a humorous story, and I still enjoy telling it on occasion. But the more substantial and important story I do not tell lightly or to entertain because it is holy ground to me. It is a place of divine encounter that changed the course of my life and gave me a future I could not have imagined. “More Precious Than Silver” may seem inconsequential and small to some, as modern worship songs go. However, it looms large in my eyes and heart as a major memorial stone of my walk with God.